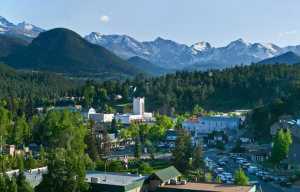 Estes is known for many things: Rocky Mountain National Park, The Stanley Hotel, its small-town charm, and yes, the wind. Our location at 7,522 feet and tucked into one of the most majestic mountain ranges in the world, means we get 300 days of sunshine; unparalleled views; and, from time to time, pretty gnarly winds. Similar to how sky-scrapers create wind funnels in the city, the mountains have a similar effect here. Some of these winds, we even know by name. Chinook, dubbed after the Native American tribe that first identified the meteorological pattern, blows in from the West Coast and heats up as it makes its way over the Continental Divide resulting in dry, warm gusts that can raise temps in town by up to 50 degrees. Bora comes from the North, chilling the city as it travels South. While it’s true that we get blasted pretty good from time to time, that doesn’t have to keep you from getting outside. It’s what you came here to do, after all. Still, it’s smart to come prepared with some basic know-how about staying safe. 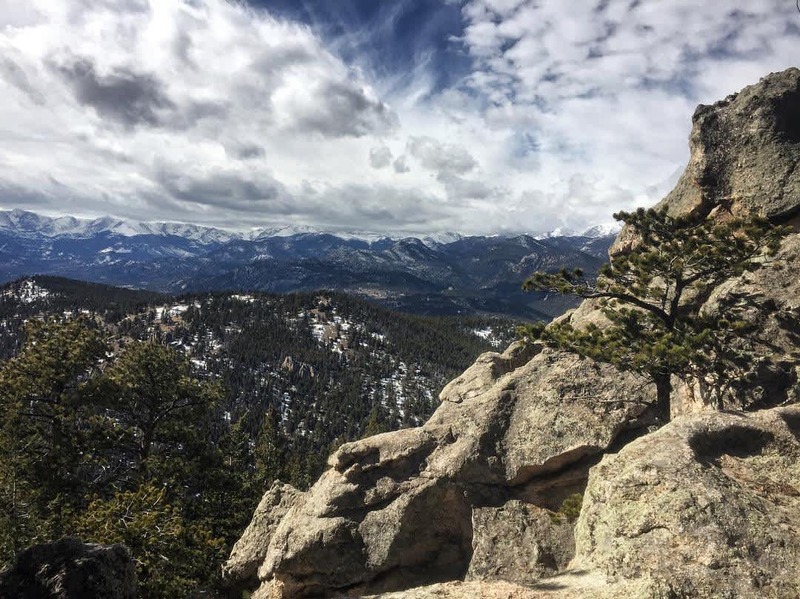 Jacob Leithead, a long-time Estes resident, avid hiker and GM at Dancing Pines Distilling Co., advises visitors to stay below elevation 9,000 and definitely cancel any peak bagging plans. “Always figure a four-degree drop in temperature for every 1,000 feet you ascend,” he says. Those degrees may seem insignificant, but it makes all the difference when the wind is blowing at 30 miles per hour. “The trees are also thicker the closer you are to town and less likely to snap.” While you may be bummed about skipping the higher peaks, there’s one undeniable silver lining: “You can see the greatest diversity of plant and animal life below 9,000 feet,” Leithead says. “It’s called the Montane Ecosystem,” he notes. We polled five experts on the best trails to take on a windy day. “The most difficult thing is to find a trail on the eastern side of a large bluff,” Leithead says. 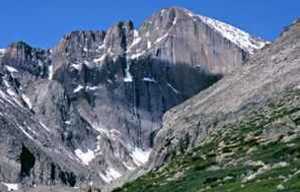 “This will act as a shield from our winds, which mostly originate on the Continental Divide and move west to east.” One hike that meets his criteria is Croiser. Located about 13 miles east of downtown, this Roosevelt National Forest trail starts off with 1.5 miles protected by tall Ponderosa pines. Keep going and you’ll start climbing west toward the peak. “At this point the trail should be in a wind-shadow produced by Crosier Mountain,” he says. This route is a good option for those who are determined to summit. “The peak is at 9,200 feet, just on the verge of too much elevation, but if you are tough, you can make it.” The whole trek is about 10 miles, but the initial 1.5-mile stretch is a good place for anyone to start. To get there: Travel east down U.S. 34 toward Drake, CO. Make a sharp left onto Country Road 43. This is a large paved road that trends northwest from U.S. 34. After two-and-a-half miles, you will see a small dirt lot on the left (southern) side of the road. Park there. The trail is just past the gate. Most people get to Bierstadt through Bear Lake, but Phebe Novic recommends you park at Hollowell Park Trailhead. Even though it’s close to town, she says you will likely have this connector trail to yourself. From Hollowell, the trail is dense with sagebrush and Aspens, as it passes through Mill Creek Basin and turns onto the path around Bierstadt Lake. “Bierstadt is known for its good snow and protection from the wind,” she says. 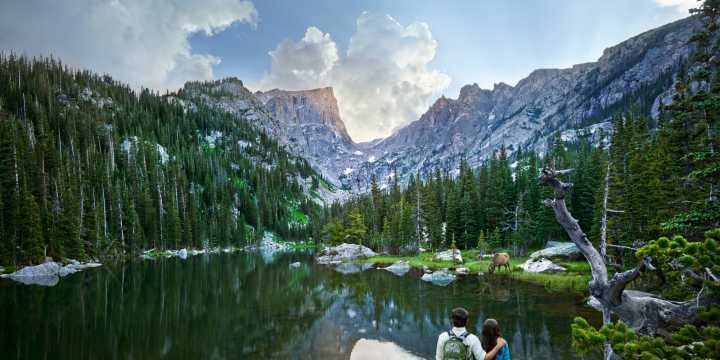 Circle around the lake (which was named after artist Albert Bierdstadt who famously painted the scenery with Longs Peak in the background), and go back the way you came. Newbies will appreciate the easy loop hike, while avid hikers go for its access to other trails. Getting there: From the Beaver Meadows Entrance Station drive west on Highway 36. Turn left on Bear Lake Road and drive 3.6 miles to the turnoff on the right for the Hollowell Park Trailhead. Recommended by: Nate Protsman, from Estes Park Mountain Shop, helps customers find the right gear and guides visitors on adventure trips. “This area is great because right after you start the hike, you see Copeland Falls. 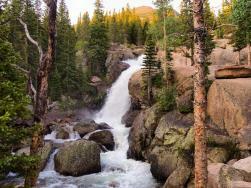 A bit further up you get to Calypso Cascades and just up from that, you’ll come to Ouzel Falls,” Protsman says. 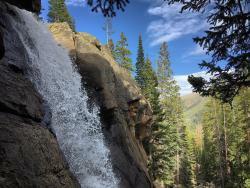 At Ouzel Falls, a nearly 40-foot waterfall, nearly 2.7 miles into the hike, you’ll be at 9,300 feet. A bit higher than recommended, but the trees provide plenty of protection. 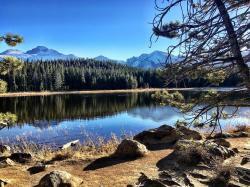 If you want to push yourself, continue toward Sandbeach Lake for a tough 10-mile hike. To get there: Drive 12.6 miles on East Highway 7 toward Allenspark. Look for the Wild Basin Trailhead on the right side. Turn right on the dirt road to the entrance station, and you’ll see the trail in roughly 2.3 miles. In winter, you have to park about a quarter of a mile away, since there is no one to man that ranger station. On the upside, you don’t have to pay to get in. Recommended by: Tim Resch, owner of Estes Park Outfitters and guide with almost 40 years of experience. The pine forest and aspen groves make this short, easy hike ideal for leaf-peeping in fall—and it’s nice and sheltered for a blowy day. The highlight is the 30-foot waterfall that you reach after climbing in just a little over three-quarters of a mile from the Glacier Gorge entrance. If it’s early enough and the wind dies down, follow the path up to Mills Lake (5.3-mile round-trip) or The Loch (5.8-mile round-trip). To get there: Take Highway 36 to Bear Lake Road and stay on that for 8 miles. You’ll see signs for Glacier Gorge Trailhead. Recommended by: Gary Bien, of Kirk’s Fly Fishing. He’s the owner’s dad and has been backpacking in Rocky Mountain National Park for decades. This south-facing trail is protected by Lumpy Ridge (a granite mound, which was ironically formed by wind and erosion over the years). 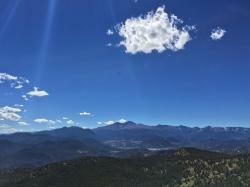 On this loop, you’ll see incredible views of Longs Peak and the Continental Divide. About seven-tenths of a mile in, you reach Black Canyon Trail. Turn left onto it for lovely vistas of McGregor Lodge. “They’ll often have cattle and horses, or elk out there,” Bien says. The whole Lumpy Loop is 11 miles, but you’ll remain under 8,000 feet the entire way. How to get there: Take U.S. 34 to MacGregor Avenue. 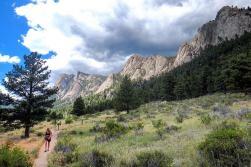 Head north for 1.2 miles to reach Lumpy Ridge Trailhead.